I know I’m going to have more than a good time when my great friend Lexi Boeger of Pluckyfluff fame comes to town!! I’d just come home from teaching at the Tropical Flordia Weavers Guild annual retreat, but I grabbed the wine, hopped in the car and headed up to Asheville for some good Boeger fun! Jazzturtle Hits the Small Screen!! I’m so excited because just had my big “TV” debut! Yesterday I was in Asheville filming for WLOS ABC Asheville’s news segment called “Craft Corner. I’m so excited because a wonderful book has just been released called Handspun; New Spins on Traditional Techniques by Lexi Boeger (Pluckyfluff) and you can see one of my FringeSpun yarns as the example of Extreme Tailspinning! 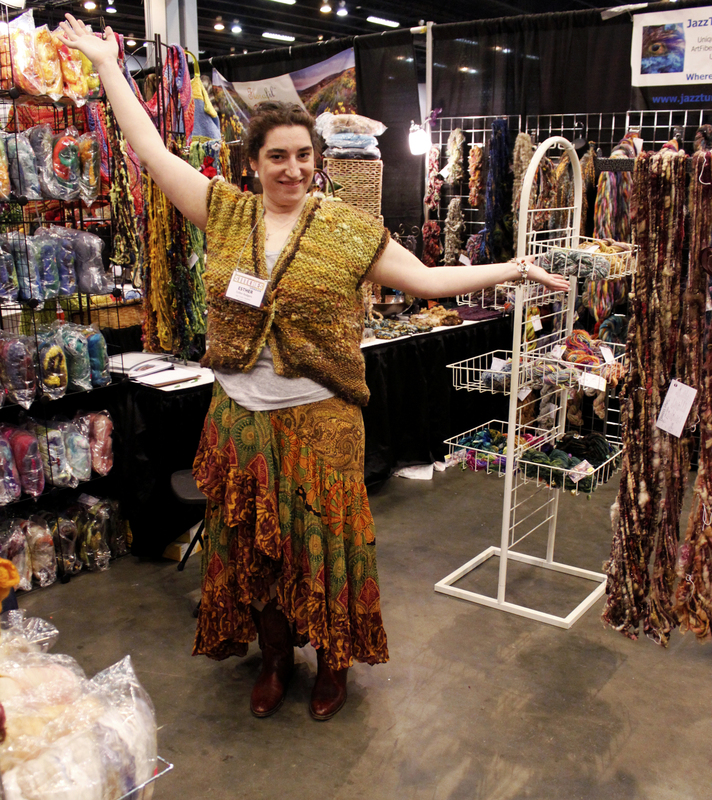 Welcome to Jazzturtle.com, home of Jazzturtle Creations and fiber artist Esther Rodgers. We’ll be working on this brand-new site over the summer, and eventually this will be the place to find out about all of our store updates, class schedules, show appearances, and more. For now, you can check out the ETSY Store and like us on Facebook!